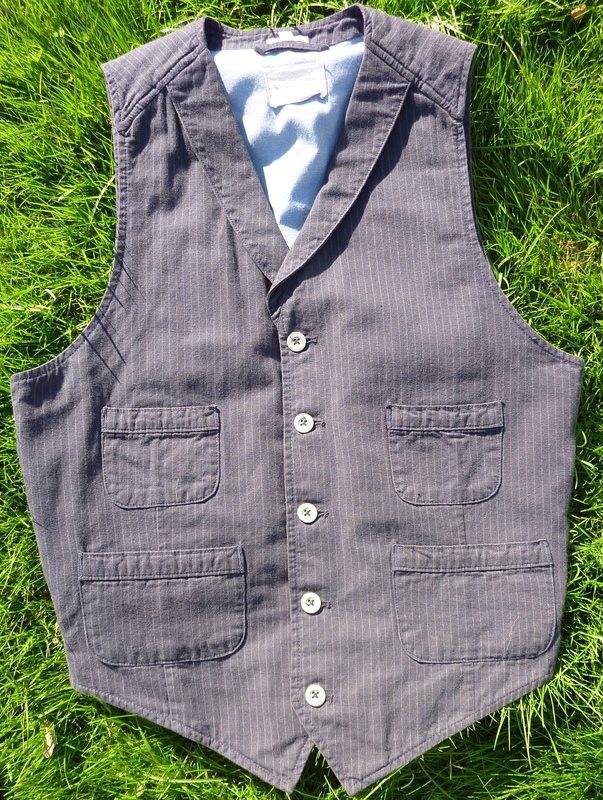 Waistcoat Wednesday - Another piece by Levis - Well Dressed Dad - It is a proper menswear blog. Like, with original words and opinions and suchlike. 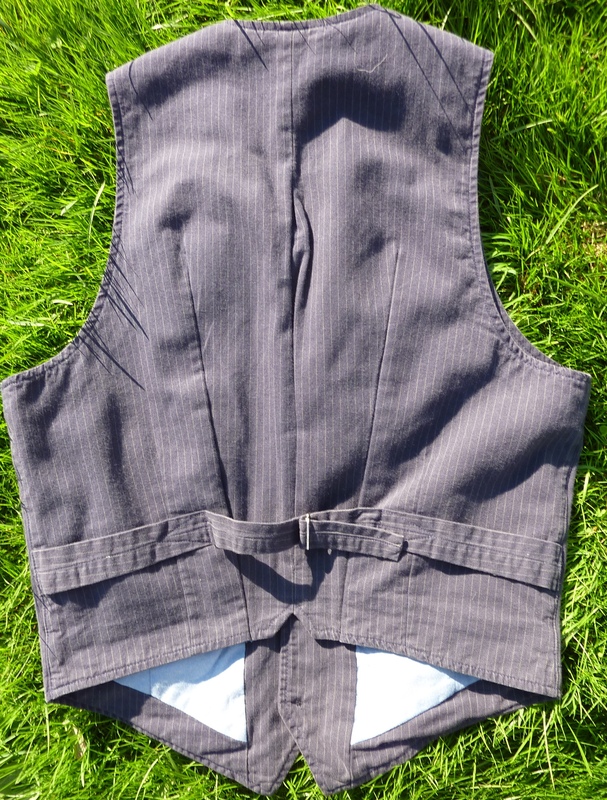 Another day of mid-week sleeveless wonderment is here, by way of this waistcoat, or vest if you like, from Levis. 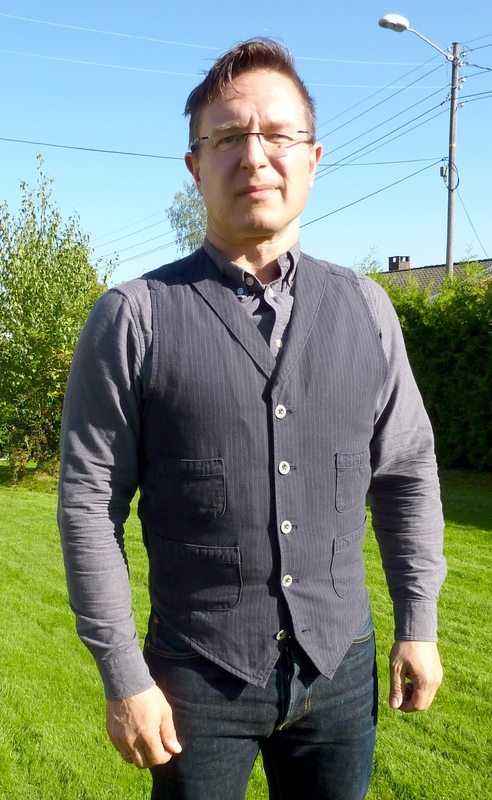 I have reviewed a Levis waistcoat before, and thought it pretty good. 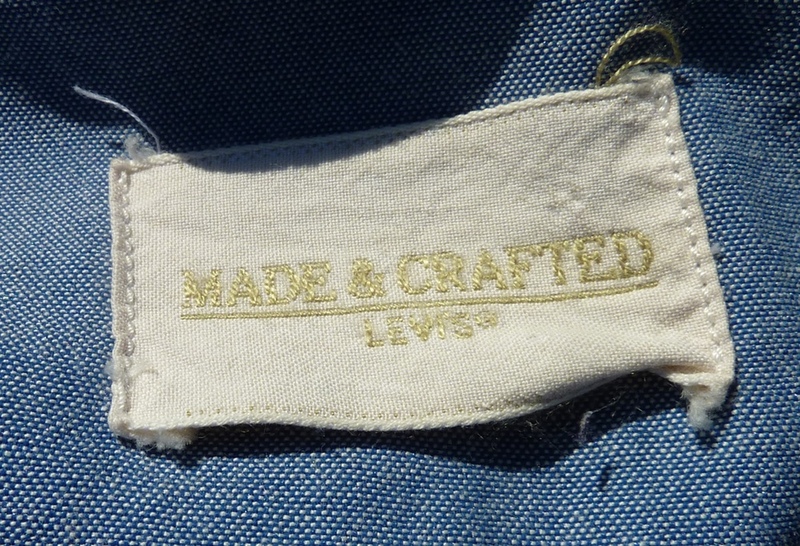 This one though is part of their Made & Crafted line, which is, as far as I can tell, a line Levis created to blend their history with modern menswear. Which really sounds like utter tosh and is most likely just an excuse to make even greater mounds of clothes. Oh my, the first paragraph and I’m already cynical. Just having a bad day, or is this waistcoat also an utter misery? Happily, it’s not. It’s actually quite nice. Read on, dear waistcoat aficionados! And here we have it. In it’s wabash-style cotton it looks just a little like last weeks effort by Pike Brothers. The similarity is only stripes deep though, as where Pike Brothers used a stiff denim fabric, this one is a much softer cotton. What we have is to me more of a suit style waistcoat in it’s shape. The very fitted body, long front notches and short back are all classic traits of the vintage suit vest. Knocking that impression into a bucket though is the fabric, of course a vintage look in itself, but hardly belonging to a suit, the metal buttons and the 4 front pockets. Keen eyed observers will also notice the lapel is only partial, and even more partial than others I have seen before. Going up only to the seam of the shoulder makes for a very short lapel indeed! Fun design though. Ah, the buttons, yes. Beauties they are, and five of them. A decent number, allowing the sort of spacing that helps the front of the waistcoat to sit nicely. Imprinted with “Made & Crafted” they immediately lift the general impression. We’ve discussed cheap plastic buttons before, and how they can bring an otherwise excellent garment down. 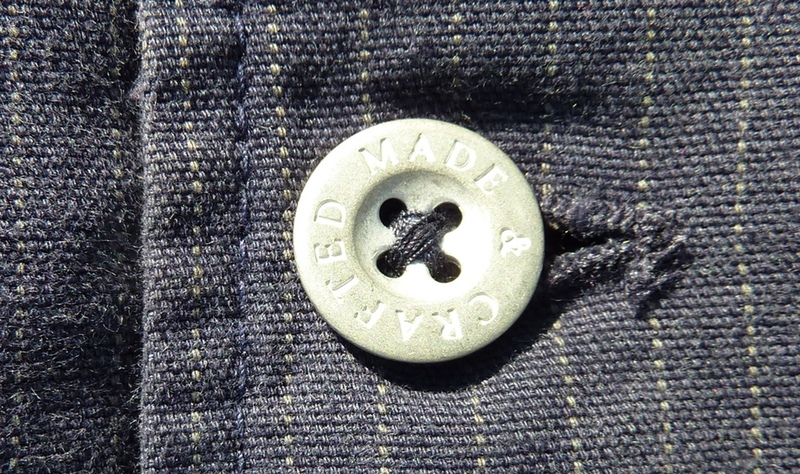 These buttons score extra points though, and the button holes are well made two. The pockets are of the patch variety, quite simply made. but bar tacked at the corners to add strength. I do question the actual value of the rather shallow pockets, and while I applaud the symmetry, four of them also seems plentiful. 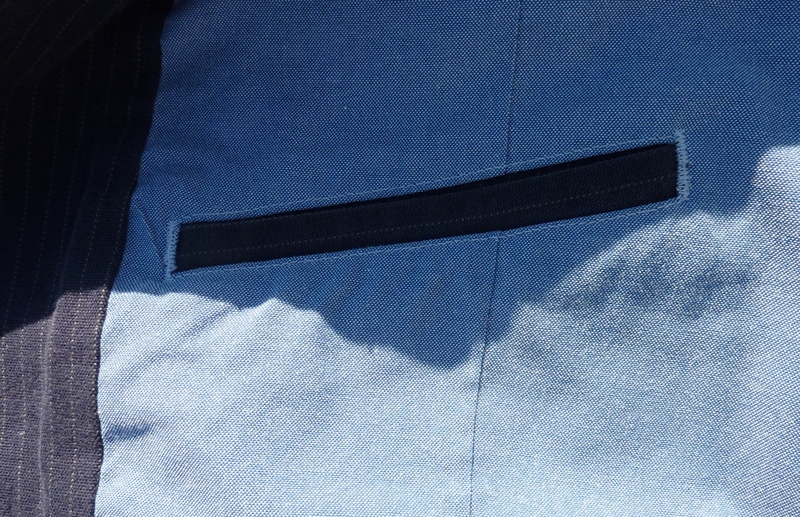 The pockets do display somewhat untidy sewing work, as evident above. 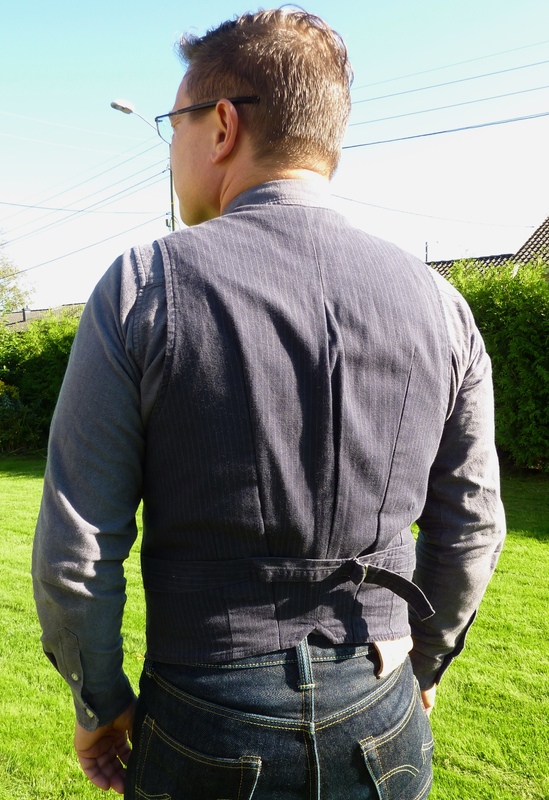 The rear of the waistcoat shows a decent working cinch. Not terrifically wide, as it only covers the narrow section of the back between the darts. The darts narrow the back quite dramatically, giving it the very fitted shape. We can also see here that the back is very short compared to the front. I have to say, I really like the fitted nature and that cheeky little notch in the middle. 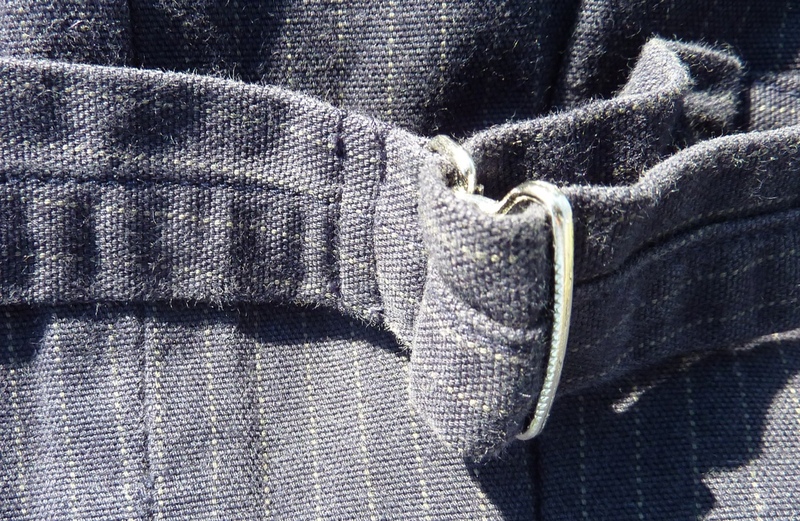 A detail of the cinch hardware. Regular readers will be on tenterhooks wondering if the waistcoat buckle actually works or not? I can confirm that the Department of Waistcoat Hardware at Levis Waistcoats HQ has come up with a finely engineered and properly working solution in this case. Thumbs up, and three cheers. On the left hand side there is a decent sized inside pocket. This one is deep enough to keep a phone in without fear of it finding it’s own way out. Pretty tidy work on the sewing here, it’s a shame hardly anyone will be able to appreciate the effort that has gone in to the pocket. The darts on the back though! This is pretty poorly executed and actually has me wondering if my waistcoat has been modified before I got it. Anyone even halfway experienced at sewing would frown upon just running a seam up a fold like this. To do it properly the dart would be hidden between the two fabrics and would be almost invisible. It works, but tidy and proper it isn’t! Inside we find a spare button, which is always very welcome, especially in cases where the buttons would be near impossible to find if you happened to lose one. This waistcoat has been made in Turkey. Sizing is decidedly odd and makes me think it may have been made for the Asian market. 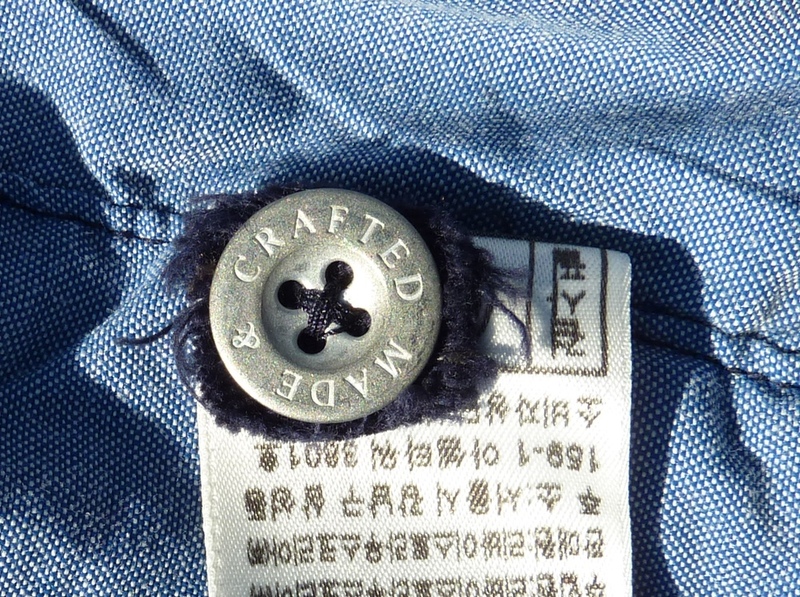 It is marked under the collar as a size 4, yet on the tag shown above it is an XL. Going by how it fits on me this must be a very small XL indeed! In summary, a pretty cool waistcoat. The design is nice and there are some nice features. The best part is definitely the fabric on the outside. 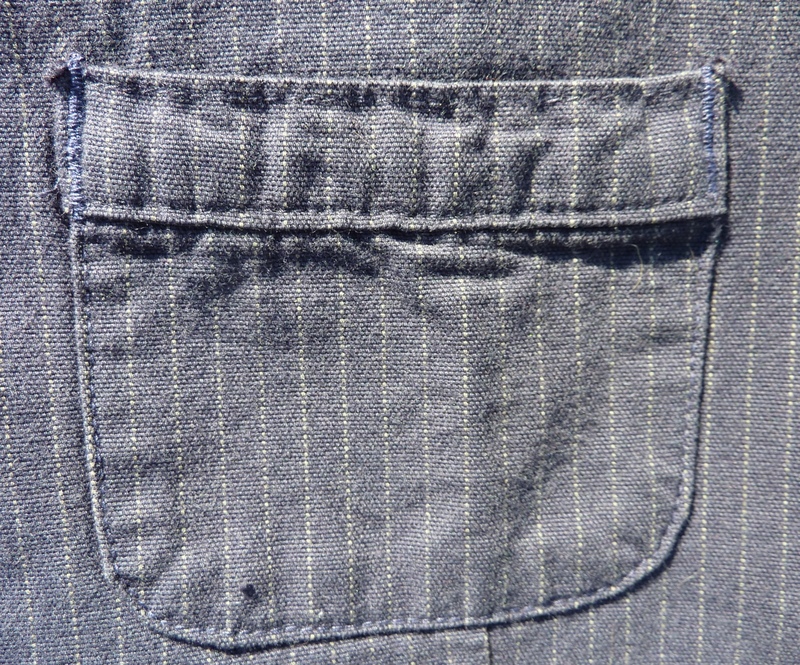 The vintage wabash stripes on the soft cotton is quite superb. The total is let down a little by some odd sewing work, though in general the work that has gone into it is great. Which tends to be the case for garments made in Turkey. What will next Wednesday bring? Tune in and see! Help me out: What should my next project be?